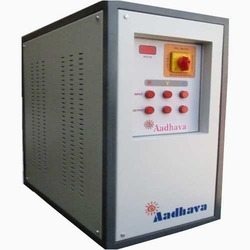 The Technology concept of Differential wound linear regulator with Series Transformer inAadhava’smake Automatic Voltage Controller. We are manufacturing Industrial type Automatic Voltage Regulators (Stabilizers/Rectifiers) using the differential wound Vertical Roller Type Regulators. ManufacturingLinear Type+/- Heavy Duty Regulators with rollers rolling on both the sides of the coil (as illustrated in the brochure enclosed). The size of conductor used is more thanThree Timesthan used in conventional design regulators. Being + type, the same winding is used for boosting the voltage on one side and bucking the voltage on the other side of the regulator. So, the rating of the regulator required is half of the conventional design regulator. The losses of differential wound linear regulator should be 1/18th of the conventional type regulatorand due to heavy section of copper used in our regulator, overall size is more and practically the losses of our regulator are 1/5th of the conventional type regulator. The manufacturing material cost of differential wound linear regulator is almost more than Three Times the cost of conventional design Regulator. As per the Regulator design, the regulator is technicallyOut Of Circuit, when the input voltage isLowest/highestas per the voltage range of the stabilizer while in stabilizer with conventional brush type regulators, the regulator is maximum in the circuit and losses are maximum atLowest/highestas per the range of the stabilizer. The Actual Efficiency of our stabilizer in running conditions at 100% Load for the (360-460 V) model will be 99.5% in comparison to less than approx. 95-96% of conventional type stabilizer for the Automatic Voltage Controller of similar rating. High efficiency & Fast response. 99.99% failure proof control circuit. No over under, shoots and hunting. Built in by pass switch up to 100 Kva. Special electronic circuit to operate on gensets. The Voltage at speed related to the rate of fluctuations and avoids oscillations & hunting In AC motor drive. Variable speed high torque ac servo motor proportionally controls corrections. Separate isolated PCB for triac switching for the motor. 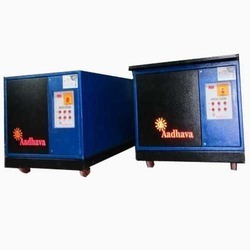 We are a leading manufacturer and supplier of Servo Stabilizers from Coimbatore, Karnataka,Andra pradesh ,kerala and South India. 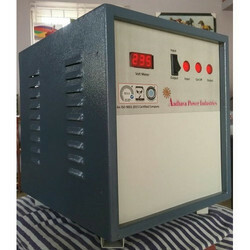 We are offering Oil Cool Servo Stabilizer with following. 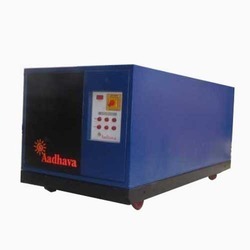 We are ranked amongst the foremost firms, engaged in offering a qualitative range of Oil Cooled Servo Stabilizer 100KVA, 150KVA. These products are manufactured by our experts using high grade material and latest technology in compliance with international standards. 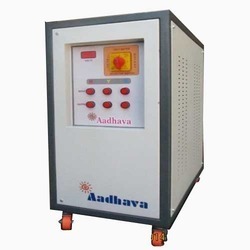 We are a leading manufacturer and supplier of Servo Stabilizers from Coimbatore, Karnataka, Andra pradesh, kerala and South India. Our company has gained name and fame for offering Oil Cooled Servo Stabilizer to the clients. Offered range provides preferred output voltage in both, single phase and three phase as per the requirement of the clients. This product is available in varied specifications to meet the changing needs of our customers. Oil Cooled Servo Stabilizer is widely appreciated for performing even in extreme conditions. With our in-depth knowledge and experience, we are actively engaged in offering a comprehensive assortment of Power Saver and Servo Stabilizer. The provided stabilizers are helpful in enhancing the working life of electronic systems by saving them from the hazardous effect of voltage fluctuations. Offered stabilizers are inspected in terms of quality before supplying in the market. 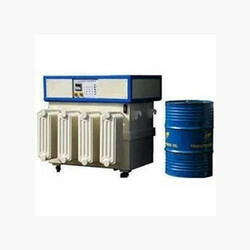 Moreover, these stabilizers are provided in diverse specifications as per the demand of customers. 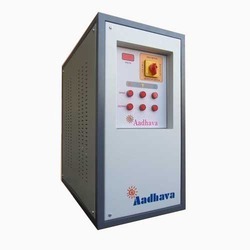 We are a highly acclaimed company for offering Single Phase Voltage Stabilizer to the clients. 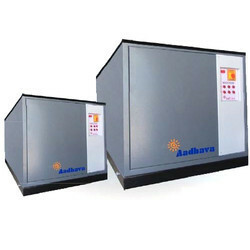 Offered range is used in controlling the voltage flow within air conditioner. This product is available for the customers in different designs and specifications, in order to match with variegated requirements. Single Phase Voltage Stabilizer is quality tested with the aid of our analyst. 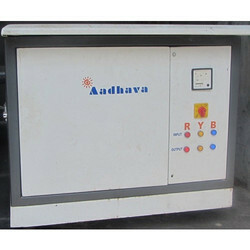 Our company has mastered the art for providing Three Phase Servo Stabilizer to the clients. 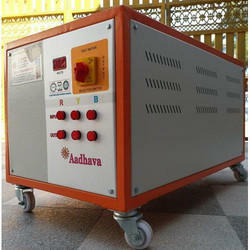 This product automatically regulates voltage fluctuations in incoming power supply and thus saves equipments from damage. Offered range is widely demanded in different industries, medical facilities, commercial complexes and residential settings for different types of electronic equipment. Input and Output Low/high Voltage protection. Input protection using mcb / mccb. We have carved out a position in manufacturing, trading, retailing and supplying the best quality Digital Servo Stabilizer which is renowned for their attributes like easy installation, sturdiness and safe usage. This stabilizer is developed by our professionals utilizing the finest grade material & contemporary techniques in accordance with the norms of industry. Our offered stabilizer is basically used in residential and commercial sectors. 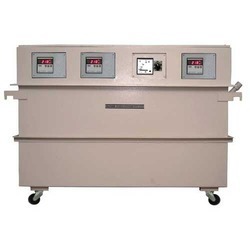 We specialize in the domain of providing Digital Voltage Stabilizer to the clients. Offered range is manufactured from good quality material under the supervision of the experts. 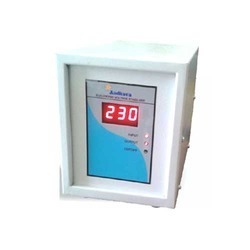 This product is used for providing an accurate and constant voltage to air conditioners for effective functioning. 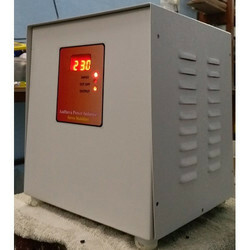 Digital Voltage Stabilizer has earned the praise of the clients in the global market. With the valuable assistance of skilled team of professionals, we are engaged in offering an extensive range of high-quality Oil Cooled Servo Stabilizer.